Tuesday Tweets | New PR Words - and Music! 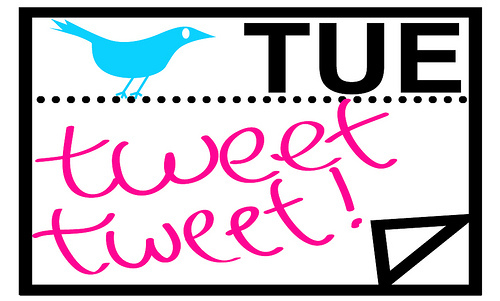 Welcome to Tuesday Tweets for July 26th — where we take a look at tweets from my Twitter feed for do’s, don’ts, best practices – and sometimes just for fun. Keep in mind that what we examine here is in no way personal. We’re all learning about building audiences online. In that spirit, if you disagree with my assessments, let me have it! I’m learning, too! The surprise here was on me. First, the title intrigued me because I’m fascinated by innovators – a true keyword for me — and how they come up with creative ideas. Then I thought the link would take me to Jericho Technology’s latest blog post. But no! It took me to a terrific article in Entrepreneur about a start-up company (another interest of mine) called Quirky that’s crowd sourcing innovation and product development. It’s led by a quirky young entrepreneur who already has a great track record of success in his early twenties. This is what I love about tapping into my Twitter stream occasionally during the day. I feed my interests with pertinent information. OK. Here’s a case of two different tweets on the same topic that came in one tweet apart. They’re both about Amazon’s earnings report today. The first is from Boston, MA-based Brian Halligan, co-founder of HubSpot and co-author of the best selling book, Inbound Marketing – which has its own Amazon earnings story. Brian’s link went to an article on Barron’s and Rajesh’s to Mashable’s version of the story. Talk about your news roundups! This tweet from TechCrunch resonates with the memory of great newspaper headline writing. The story – TC’s own review – is about problems with the new Motorola Triumph smart phone having flickering screen problems. And you can see it on video. Truthfully, my inner writer focused on the great headline and only now did I realize that there’s video showing the problem. Think I’ll go back and watch. Obviously this week I’ve selected tweets that represent the best of Twitter. I must be in a good mind frame not to have gone looking for the worst examples. Oh, well. Next Tuesday will be here in a flash!